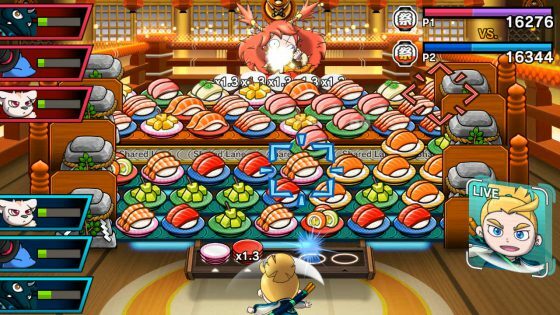 Nintendo’s plate matching battle puzzler Sushi Striker: The Way of Sushido (£39.99 Switch/£34.99 3DS) was conceived as a 3DS exclusive but made the jump to Switch mid-development. A few gaming sites – such as Eurogamer – claim that the 3DS version is the way to go, as apparently the “blown-up” visuals look a little rough on Switch. Don’t let this put you off though, as the Switch version comes in with a 78% Metacritic. It has all the hallmarks of a sleeper hit, this. 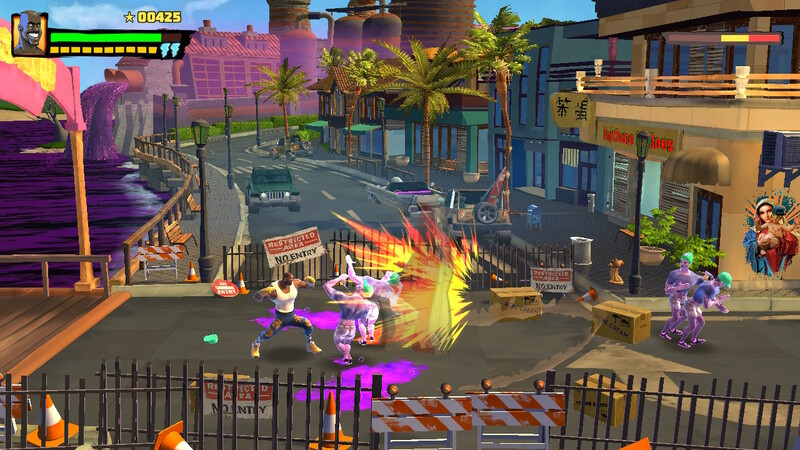 Following Tuesday’s launch, reviews of Shaq-Fu: A Legend Reborn (£17.99) are just starting to surface. We can all breathe a sigh of relief – it isn’t anywhere near as bad as the ’94 original; a horrid one-on-one brawler that lives in infamy. A Legend Reborn takes the side-scroller approach, and is apparently comparable – in terms of quality – to the recent Raging Justice. 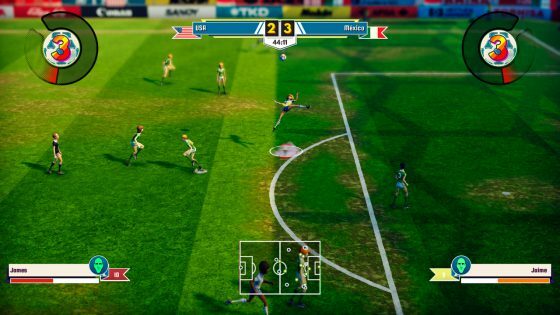 “We were unsure of what to expect from this whole ‘Settle the score of ‘94’ tagline, but were pleasantly surprised with the amount of fun it offers. While it lasts, it serves up a fun-filled ride with silly dialogue, politically incorrect humour and excessive amounts of ‘Shaqness’” said Nintendo Life before dishing out a solid 7/10. Happy Birthdays (£39.99) and The Infectious Madness of Doctor Dekker (£9.99) are two we briefly looked at during our multi-format new release round-up. Happy Birthdays hit the PS4 a while ago. It’s a peculiar sandbox life simulator, giving chance to give birth to an entire ecosystem by tinkering with temperature, geography and so on. While reviews haven’t been glowing, mostly being a mixture of 6s and 7s, they’re positive enough for anybody curious to take the plunge. The Infectious Madness of Doctor Dekker meanwhile is the latest FMV game from Wales Interactive, this time putting you in the role of a psychiatrist trying to solve a murder whilst treating the unusual patients of the recently deceased Doctor Dekker. Don’t let the fact that it’s an FMV game put you off – Wales Interactive has achieved more with the medium than any other developer. Then we have Legendary Eleven (£8.99), a slick looking football game promising arcade action and big ‘n bouncy ‘70s afros. The PC version arrived to a positive reception last month, suggesting it’s worth a look. Here’s a round-up of the rest of this week’s Switch releases, including cult RPG Banner Saga 2 and Them Bombs, which sounds uncannily similar to PSP launch title Smart Bomb. A Magical High School Girl is a magic crafting rogue-like RPG! The only weapon you possess is the magic you conjure from within. You can freely name your magic. The elemental properties and effects are generated automatically with what you typed in. “RIDING HERO” is a realistic racing game released in 1990 by SNK. WGP (World Grand Prix) mode is where you can compete against top riders of the world. Story mode puts you in the shoes of a young street racer aiming to challenge an eight-hour endurance race and comes packed with RPG elements. Experience realistic motorcycle action that will keep you at the edge of your seat. GRIDD: Retroenhanced is an intense arcade-style cyberpunk hacking shoot ’em up with an incredible soundtrack, procedurally generated elements, and electric visuals. Iro Hero is a vertical shoot ’em up with beautiful pixel art graphics inspired by many old-school classics. Staged across nine action-packed levels, Iro Hero features a unique and fresh approach to the popular colour polarity mechanic, with interactive level elements, colour zones, reflective surfaces and much more. Samurai Defender: Ninja Warfare is the tower defence game we have all been waiting for! Defend your castle against the waves of enemies laying siege to your gate! Test your tactical abilities and be your own master of strategy: To win, you must utilise the capabilities of your men to repel the daunting invading forces! As enemies move towards your gates, you have no time to lose. The world that grows around you… The environment and flora constantly flourish and fade as you wander in Shape of the World, a serene and surrealist first-person explorer. You’ll travel through dream-like forests, aquatic caves and peaceful shores accompanied by psychedelic wildlife. No ticking clock or hidden perils laying in wait will prevent you from enjoying your journey… A couple of hours escape from work, anxiety and stress. A text message leads you to a ticking bomb. Tic-toc! Tic-toc! Every second counts. Which wire to cut – the blue or the red one? How to set the control knobs? Tic-toc! Tic-toc! Only two minutes left… Your flashlight battery runs out. The adrenaline kicks in. Will you keep a cool head and defuse the bomb? Next week: Paladins: Champions of the Realm, Hexologic, Jolt Family Robot, RacerSoccer Slammers, Alchemic Jousts, and if the rumours are true (whisper it) Fortnite.